I hope you are having a wonderful weekend so far! It's always wonderful when you can incorporate some crafty time! 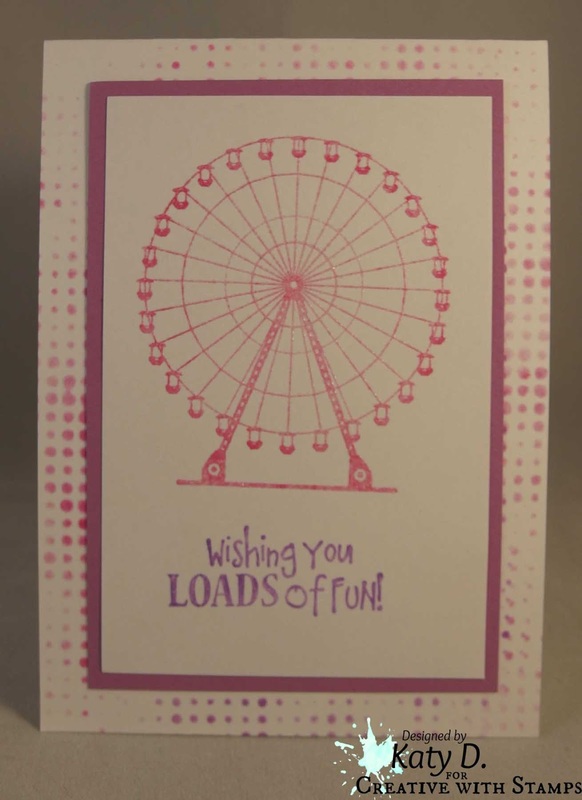 The ferris wheel is from the Loads of Fun set made by Fun Stampers Journey. 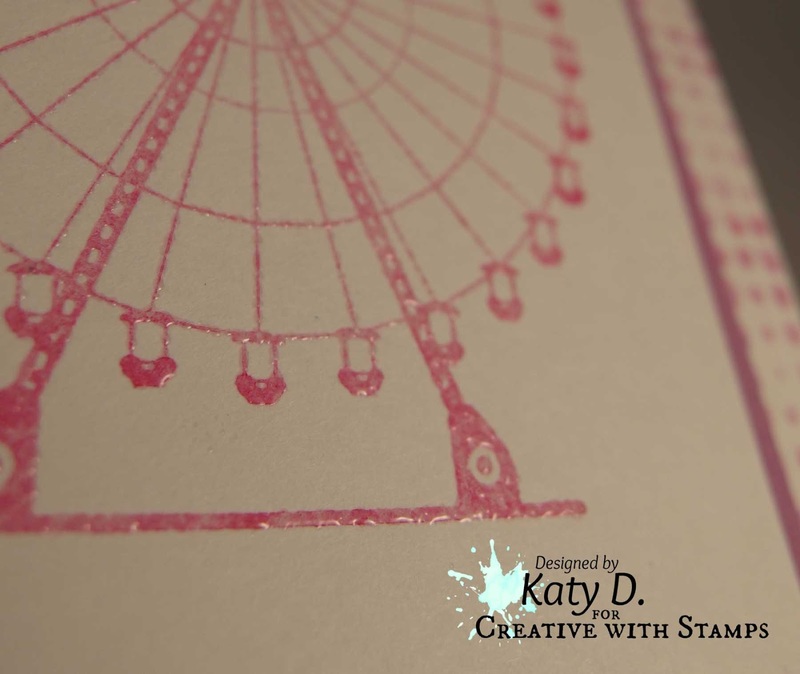 I used Pink Passion Craft by stampin' up. For the sentiment (same set) I used classic Orchid Opulence by SU. The paper is also Orchid Opulence. (A friend of mine gave me inks and matching papers-thank you!!) And I used in for the background and Tim Holtz's Dot Fade stencil. It was pretty boring just being white so the dots help add some interest. On the ferris wheel I also used clear embossing powder to make it shiny. Since I used the craft ink-it holds the powder just like versamark or distress ink. This is always helpful when you don't have a certain color embossing powder! Here you can see the shiny melted powder. This is soooooooooooooo fun! I loveeeeeeeee it!!!!!!!!!!!!!!!!!!!!!! Sweet card!! Love the image!! 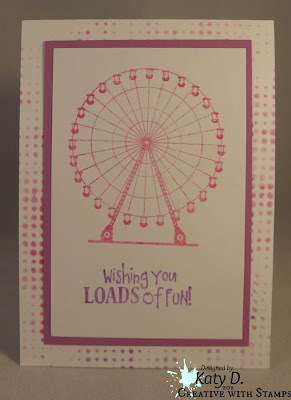 Nothing could be more fun then a ferris wheel card...great image! Thank you fo rjoining us at Sparkle N Sprinkle for our monthly challenge and good luck! What a fun card, Katy! Cool background!